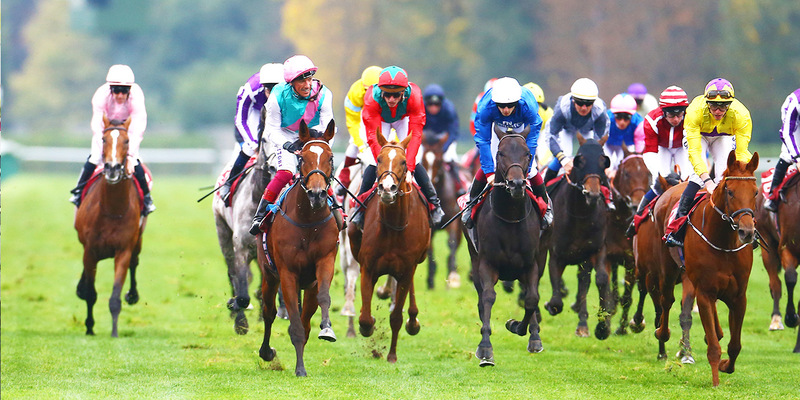 One of the greatest sporting events in the world, held at the truly spectacular ParisLongchamp Racecourse: an opportunity to experience a race with an intensity all of its own and witness the crowning of a legend. Share in the thrill, excitement and sheer adrenaline of an outstanding day of horse racing that brings the world’s best thoroughbreds and finest jockeys together in an electric atmosphere. WATCH RACING HISTORY BEING WRITTEN! 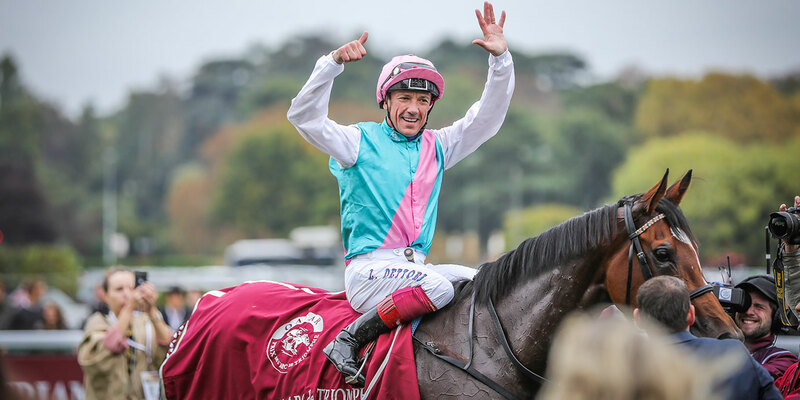 The Qatar Prix de l'Arc de Triomphe weekend, held on Saturday 5th and Sunday 6th October 2019, boasts no fewer than 16 flat races, nine of which have Group 1 status, the highest category of horse race. In the most important race of the weekend, the world's very best thoroughbreds coupled with top international jockeys will do battle in the world’s best horse race*: the Qatar Prix de l'Arc de Triomphe! 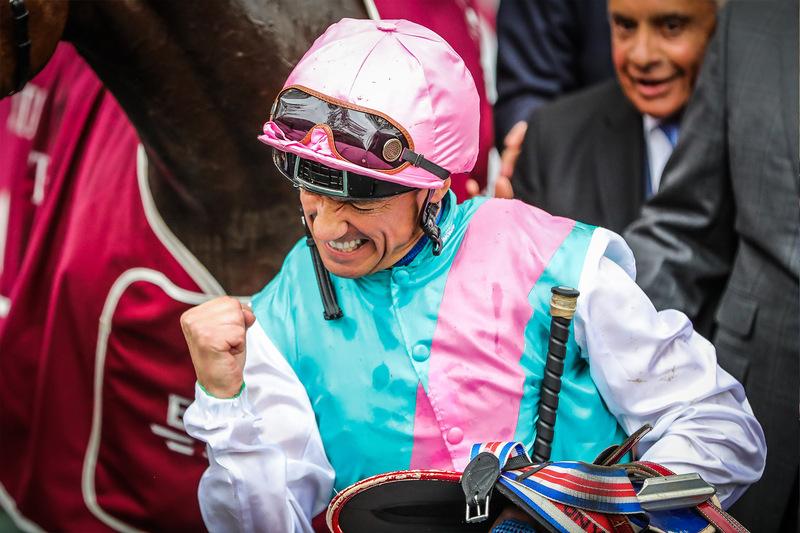 The 97th edition of the Qatar Prix de l'Arc de Triomphe will certainly go down in history: English filly Enable and Italian jockey Lanfranco Dettori will forever be the only pair to win two consecutive editions of the Arc on two different racecourses: Chantilly in 2017 and ParisLongchamp in 2018. Italian jockey Lanfranco Dettori clinched his 6th Arc title, an all-time record in the history of the world’s best horse race. Ever since it was created in 1920, the “Arc” has been recognised at one of the highest rungs on the sporting ladder and its winner is crowned the year’s best racehorse. This competition, which boasts a purse of 5 million euros, making it the most richly-rewarded race in France, is the Holy Grail for flat racing professionals. This legendary race is broadcast in 50 countries and brings together 50,000 spectators inside the racecourse. Qatar Prix de l’Arc de Triomphe : The 2018 best horse race in the world ! For the 3rd time in 4 years, the Longines World’s Best Horse Race award was given to the Qatar Prix de l’Arc de Triomphe in 2018. France Galop President Edouard de Rothschild was in London this Wednesday, January 23rd, to accept the award. 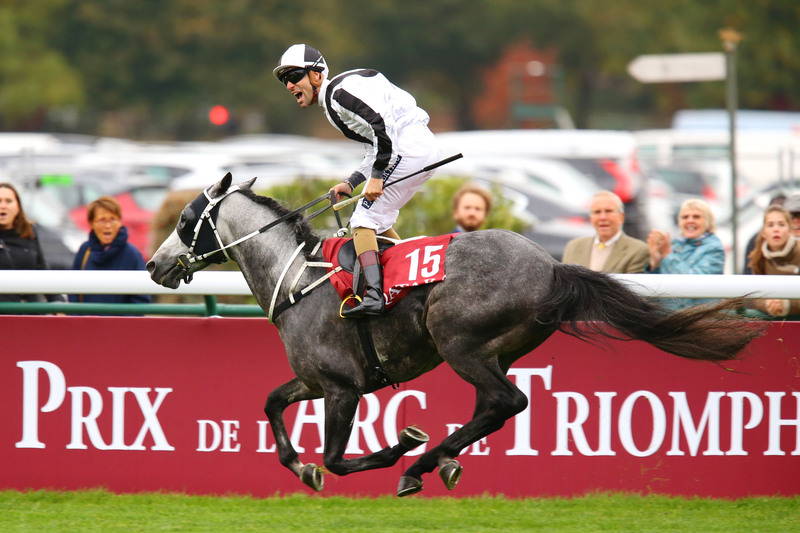 THE QATAR PRIX DE L'ARC DE TRIOMPHE IS COMING HOME TO PARISLONGCHAMP! After two editions of the Qatar Prix de l’Arc de Triomphe at Chantilly (2016 and 2017), the year’s most eagerly-awaited event is coming home to ParisLongchamp, which was officially reopened last spring after two years of renovation work. A legendary race like the Qatar Prix de l’Arc de Triomphe could not wish for a better venue: the new 160-metre-long Grandstand, topped with a transparent glass building, was designed by famous French architect Dominique Perrault. The outward-leaning shape of the Grandstand is designed to evoke the movement of a thoroughbred in full flight! Its colour is inspired by the autumn hues of the trees in the nearby Bois de Boulogne in October, when the event takes place. Named Longines World’s Best Horse Race in 2018, the third time in four years. 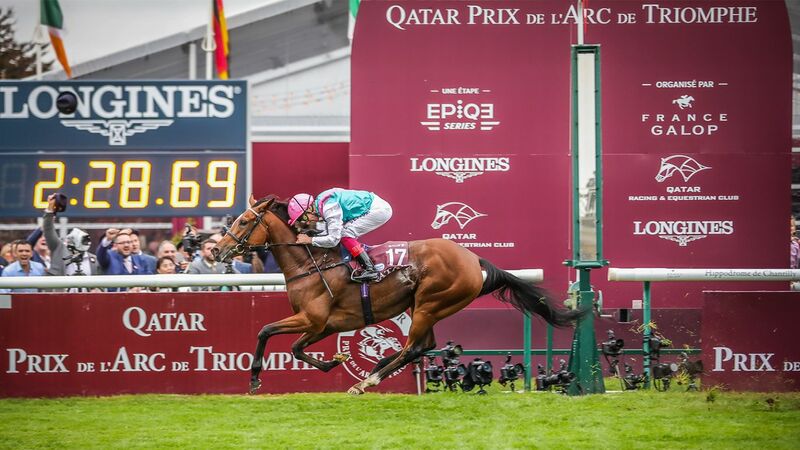 Of the Qatar Prix de l’Arc de Triomphe in 2019, a legendary sporting event created in 1920. The distance run in the Qatar Prix de l’Arc de Triomphe, which pits the world’s very best thoroughbreds against each other in a race that demands both speed and stamina. The record time for the Qatar Prix de l’Arc de Triomphe on the ParisLongchamp course (held by German mare Danedream since 2011), which equates to an average speed of 60 km/h with a peak speed of 65 km/h at the finish! The total purse for the 16 races run over the weekend, nine of which have Group 1 status, the highest category of horse race. The prize money for the Qatar Prix de l’Arc de Triomphe alone, making it the most richly-rewarded horse race in France. Of bets on the Arc alone, of which 45 million euros are wagered abroad. Irish trainer Aidan Patrick O’Brien had a fantastic race in 2016, when his three runners took the first three places! Only 8 horses have won the Arc on two separate occasions, including English mare Enable (2017 and 2018). Christiane Head-Maarek is the only female trainer to have won the race, and she did it on three occasions (two of which were with Trêve)! But André Fabre, a Chantilly-based trainer, takes the top spot with seven Arc victories! The Arc is an opportunity for the world’s best jockeys to measure up to one another. Lanfranco Dettori is the only jockey, to date, to have won this exceptional race six times. Present in the stands at ParisLongchamp racecourse for the Qatar Prix de l’Arc de Triomphe weekend. From all over the globe cover the event. Watch the races from the very heart of the racecourse! Food court, bars, betting windows, big screens, shops and DJ sets: the Arc Village has everything you need to enjoy the racing action in a fun and friendly atmosphere! Racing, refreshments and music: the perfect blend for a day at the races! Food court, champagne bars, betting windows, big screens, free introduction to racing, shops, racing simulator, DJ and dancefloor: come and enjoy this fun and friendly racing experience! Find out all the secrets of the racing world! Head to the Café des Sports for a chat with our experts, who will teach you all about the exciting world of horse racing and will even show you how to place a bet! Get into the spirit of the day by picking up a wristband in your favourite jockey’s colours, then have a flutter on your chosen horse and cheer it past the post! Our Racing Experience gives you the opportunity to dive into the middle of a field of thoroughbreds, to experience the thrill of galloping round the track! 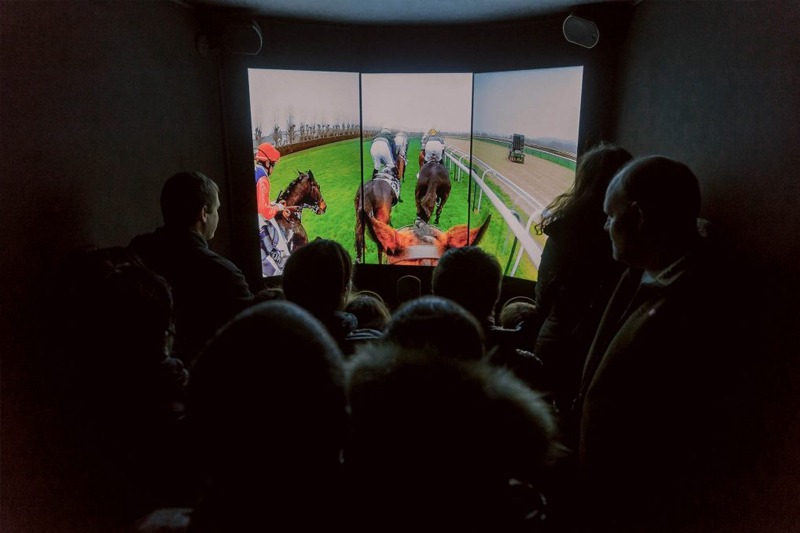 With our race simulator, you can learn how to ride like a jockey as you urge your mechanical mount along the home straight! Immerse yourself in the racing atmosphere! 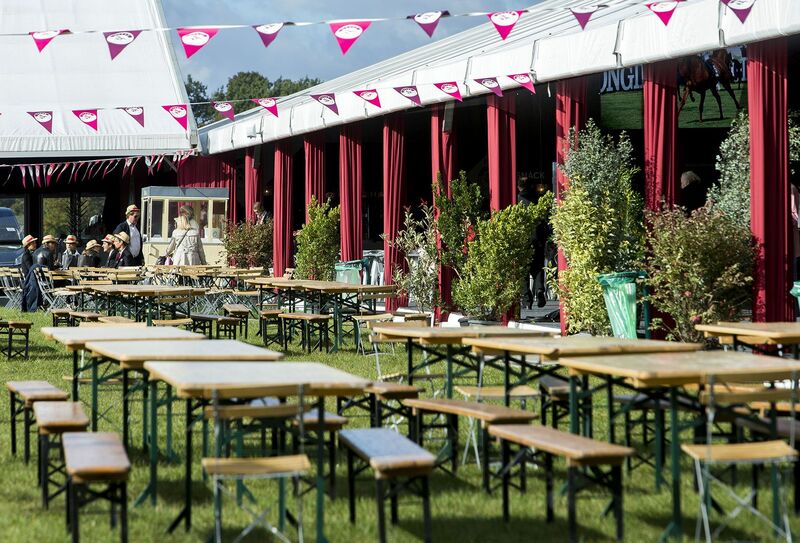 The Winning Post Enclosure – which includes entry to the first floor of the Grandstand and the tiered seating around the presentation ring – brings you right to the heart of the event! 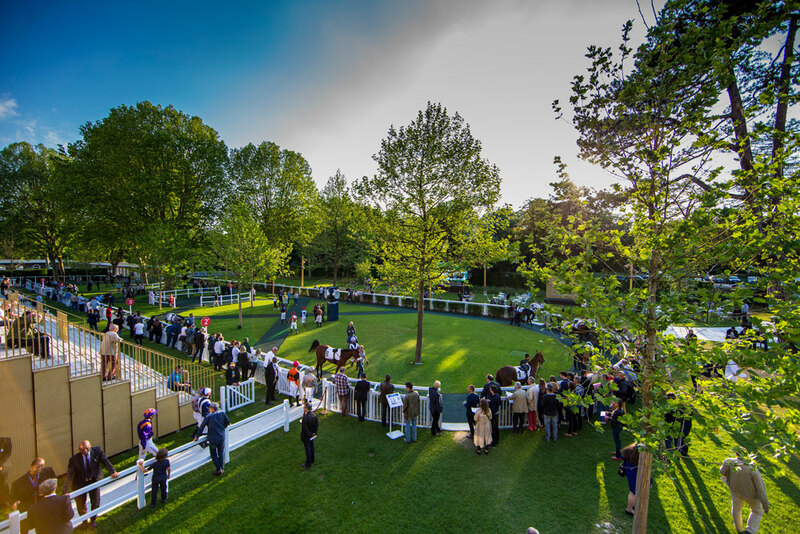 Watch the races at the finishing post, admire the horses as they parade around the paddock before and after each race, and applaud the winners as they accept their prize, as well as enjoying access to the Arc Gardens! In 2007, the Qatar Racing & Equestrian Club (QREC) and France Galop signed a partnership agreement, which has since been renewed to extend the sponsorship of the Qatar Prix de l’Arc de Triomphe until 2022. Horses are an integral part of Qatari culture. The nation’s passion for horse racing naturally led to a long-running sponsorship deal with France Galop and the Prix de l’Arc de Triomphe. Thanks to this partnership, the Qatar Prix de l’Arc de Triomphe has become one of the most richly-rewarded turf races in the world, with a purse of 5 million euros. With a million euros in prize money, the Qatar Arabian World Cup is the world’s most prestigious race for purebred Arabs and is one of the highlights of the action-packed Prix de l’Arc de Triomphe weekend. The race is run over a distance of a mile and 2 furlongs and is reserved for purebred Arabs aged 4 and over. One of the circuit’s key events, the Qatar Arabian World Cup has forged a reputation in line with that of the Qatar Prix de l’Arc de Triomphe, as it is contested by the world’s very best purebred Arabs hailing from the top stables. The Qatar Arabian World Cup is one of the three legs of the Doha Triple Crown. This challenge, created in 2015 by the Qatar International Equestrian Committee, features three prestigious races: the Qatar International Stakes, which takes place at Goodwood in August, the Qatar Arabian World Cup at Chantilly in October and the HH. The Emir’s Sword Race at Doha in February. A 1 Million US Dollars bonus is awarded to the horse that wins all three races of the Doha Triple Crown. Based in Saint-Imier (Switzerland) since 1832, Longines’ watchmaking expertise is forged from tradition, elegance and high performance. With a wealth of experience keeping time at world championship events, and as a long-term partner of many international federations, Longines has weaved solid and long-lasting bonds with the world of sport. Renowned for the elegance of its timepieces, Longines is a member of the Swatch Group S.A., the world’s leading manufacturer of timekeeping products. With a winged hourglass as its emblem, the brand is established in more than 150 countries. The world’s fastest-growing airline will add a number of exciting new destinations to its growing network in 2018, including Gothenburg, Sweden; Da Nang, Vietnam; Mombasa, Kenya and many more, flying passengers on board its modern fleet of more than 200 aircraft. The award-winning alliance was named the World’s Best Airline Alliance 2015 by Skytrax for the third year running. Qatar Airways was the first Gulf carrier to join global airline alliance, oneworld, enabling its passengers to benefit from more than 1,000 airports in more than 150 countries, with 14,250 daily departures. We realise that long-term and sustainable economic growth can only be accomplished through a thriving private business sector, capable of competing globally, and that the nation must now think beyond the current upcoming projects, such as the 2022 World Cup, to the establishment of non-oil related industries. To this end, the emphasis is now on the creation of a solid infrastructure in which small and medium-sized enterprises (SMEs) can prosper and grow. To ensure this kind of longevity, it is essential that we have the investment, expertise, and entrepreneurial culture necessary. 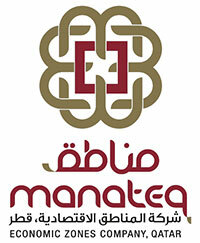 Manateq is therefore mandated to establish a wider range of business sectors in the economy, by developing indigenous enterprises in these sectors whilst also attracting international investment, businesses, and partners. The Economic Zones, Logistics Parks, Industrial Zones and Warehousing Parks offer our investors a range of client services, unparalleled interconnectivity, access to GCC and global markets, high quality infrastructure, an easy set-up process, and much more.